A recent study examined any connections between divorce and severe coronary artery disease. These diseases are caused by the stress, anxiety, and unhealthy behaviors that the divorce experience can incite. Women are at a higher risk than men, when it comes to severe coronary artery disease during the divorce experience. "With the divorce experience encouraging unhealthy behaviors, it is important to hold yourself accountable and take pride in keeping your body as healthy as possible." The difficulty of the divorce process has been known to have lasting consequences. Many struggle to find healthy ways of processing their emotions, and as a result, they find damaging ways of processing their stress and anxiety. This can cause individuals to stop taking care of themselves. Their exercise habits could fall by the wayside, and their diet could start to become unhealthy. They may feel sluggish and begin to lose interest in hobbies and relationships they once treasured, thanks to the emotional toll of the divorce process. With the stress and anxiety that the divorce experience entails, it is no wonder the number of medical conditions that can develop and impact one’s life expectancy . With the amount strain that it can put on your mind and your body, your health can be at risk. A recent study was published in Cardiology Research and Practice, a Hindawi publication in the United Kingdom, attempting to figure out the supported link between divorce and the severity of coronary artery disease. According to the study, even though divorce may have an adverse effect on cardiac outcomes, the relationship between divorce and severe coronary artery disease is actually unclear. The results of the study found that of the 1,068 patients, 124 (12 percent) were divorced. 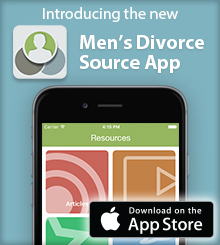 Divorce was more frequent among women (27 percent), in comparison to men (6 percent). Most divorced patients had been divorced only once (49 percent), but a subset had been divorced two (38 percent) or more than three (12 percent) times. They also found that there was no significant association between divorce and severe coronary artery disease among men, but in women, there was a significant adjusted association between divorce and severe coronary artery disease, as well as multivessel disease and left main coronary artery disease. With all of these risks being present after a divorce, it is important to understand what the diseases are. Coronary artery disease develops when the major blood vessels that supply your heart with oxygen, blood, and nutrients become damaged or disease, according to the Mayo Clinic. Inflammations and cholesterol-containing deposits, otherwise known as plaque, in your arteries are usually to blame for this serious condition. Multivessel disease is defined as 70 percent or greater stenoses (abnormal narrowing of passages in the body) in at least one major epicardial vessel and 50 percent or greater stenoses in at least one other major vessel, according to the American Heart Association. Left main coronary artery disease is blockage in the coronary that supplies the vast majority of the blood flow to the heart muscle, according to Baylor Jack and Jane Hamilton Heart and Vascular Hospital. When the plaque builds up, it narrows the arteries and decreases the blood flow. This can cause shortness of breath, chest pains, or even a heart attack, if the blockage is severe enough. The relationship between marriage and divorce with heart conditions has been one that is well-studied. Because of the idea of what a heart means in relation to love and emotion, the thought process was that people were suffering because of a broken heart. The reality of the situation is rooted heavily in the subsequent stress, anxiety, and general unhealthiness that occurs during the divorce experience. While takotsubo cardiomyopathy, or broken heart syndrome, is a real condition that people can suffer from, it is more temporary than the coronary conditions previously mentioned. With the divorce experience encouraging unhealthy behaviors, it is important to hold yourself accountable and take pride in keeping your body as healthy as possible. If you cannot accomplish this feat alone, seek support, in order to stay motivated. Trainers, dietitians, nutritionists, and other professionals are designed to keep you in the best of health, and staying in good health is the most recommended way to prevent heart disease during the stress-inducing divorce experience.